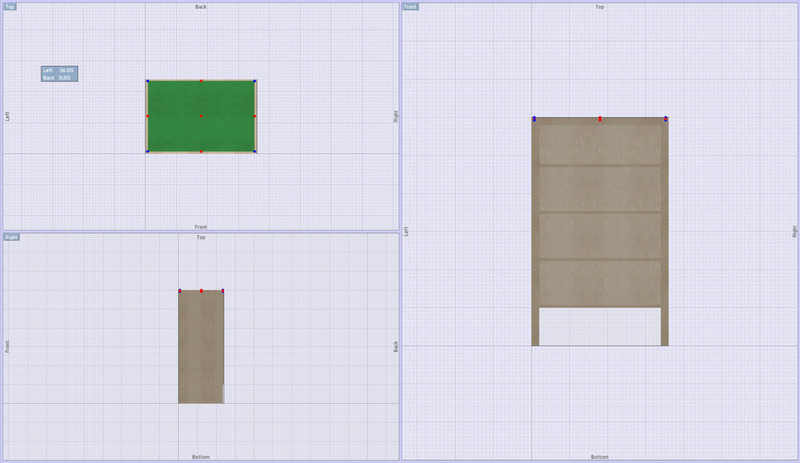 Furniture design software – easier in two dimensions? I am reading a book on dimensioned shop drawings and drafting practices for woodworkers using furniture design software. A survey we did showed us that users place a very high value on shop drawings. The book starts with an explanation of drawing by hand, transitions to using computer programs to generate two dimensional drawings, and then moves to how to create full three-dimensional images. The author says you began your 3D design effort by drawing a front side and top view in two dimensions and blend them together to create your three-dimensional design. I’ve not done that so I don’t know if that’s right or not. I have read articles and online comments and commentary that say that two-dimensional design is simpler than three. Makes sense and I think I agree. Then I thought since drawing in two dimensions is easier than drawing in three dimensions it might help new users of SketchList 3D understand the process if I put together a video creating a model using the two dimensional method. In the video you’ll see that I use the side, top and front views to create a bookcase. If you are a novice to SketchList 3D this video will help you understand some of the tools and processes one goes through to create a three dimensional design using two dimension representations. But the best thing to do is watch the video.